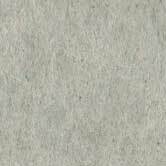 In December 1912, Germany, Austria-Hungary and Italy renewed their 30-year-old military pact known as the Triple Alliance. In the months that followed, staff officers from all three fleets prepared secret, detailed plans for operations against the French and British fleets in the Mediterranean in case of war. Yet when war came in August 1914, Italy refused to join her Alliance partners and those plans would never be used. What if Italy had honored her Alliance obligations, and joined the Germans and Austrians in a naval war against Britain and France? What if the Triple Alliance plans had been put into operation, with the Austrian and Italian fleets combining to challenge the French and British? The Great War at Sea in the Mediterranean is no longer confined to the Adriatic Sea, but now rages across the entire Mediterranean basin. 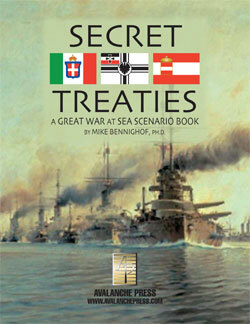 Secret Treaties is an expansion book based on those plans, for Great War at Sea: Mediterranean Ultimate Edition. It’s not a complete game: you’ll need Mediterranean Ultimate to play any or all of the scenarios (and only Mediterranean Ultimate). You get 80 new playing pieces: 60 “long” ship pieces and 20 normal-sized square ones. And there are plenty of new ships to play with, starting with the all-big-gun battleship designed by Vittorio Cuniberti in 1903 that started the whole Dreadnought Age thing. You also get the original dreadnought-style design of the Austrian battleship Radetzky, the proposed French dreadnought/semi-dreadnought hybrid (a dodrant-dreadnought? ), Italian fast armored cruisers and many more. And then there’s the story. You get 40 scenarios of Mediterranean action as Italy aligns with Austria-Hungary and Germany to battle the British and French, following the conduct of operations (at least initially) actually foreseen by the joint Triple Alliance planning staff.